Every entrepreneur, business owner, and manager aspires to enhanced productivity. The reasons for this are obvious: greater productivity is conducive to not only increased profits, but diminished stress and more free time too—highly esteemed desiderata for most people. But, like community engagement, leadership or employee morale, productivity is not necessarily an easy concept to pin down. In the abstract, we all want it. But if we are serious about realizing it (and enjoying its many benefits), we need a clear process and concrete steps by which to make it happen. One of the simplest and most effective ways to bolster productivity is by setting yourself up for it with good habits—including proper nutrition, regular physical exercise, and plenty of sleep. If you undertake your work feeling groggy, or having eaten poorly, your performance will invariably suffer. Formulate a daily routine and follow it—this will save time and help you develop automaticity, a prerequisite for completing quality work, day after day, while expending minimal effort. 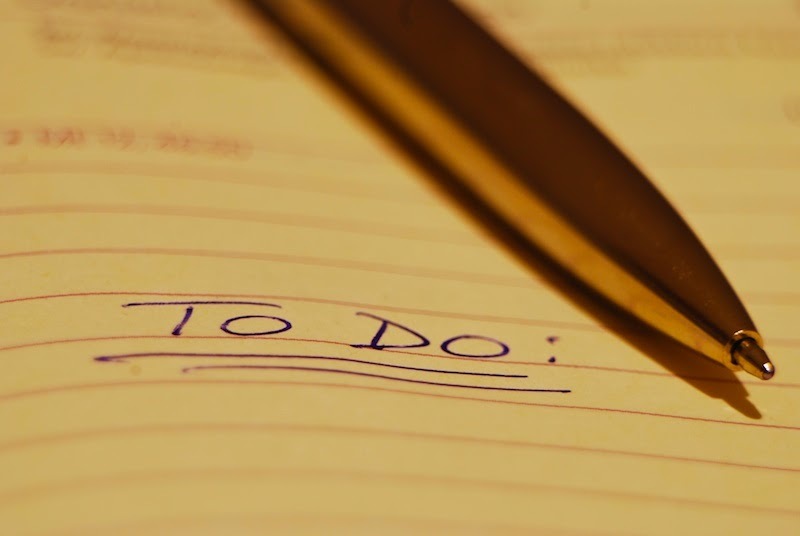 Another exercise you may find useful is to create a concise and easy-to-follow action plan, with achievable objectives, first thing in the morning. Commonly, people who work in an office environment begin their day by checking e-mails, replying to voicemails, responding to memos, or otherwise answering requests and inquiries. While it is important to stay abreast of the needs of others and maintain correspondence, beginning the day by engaging with external priorities can cause you to become sidetracked. Various psychological studies indicate that, despite the widespread appeal of “multi-tasking,” in reality, human beings can only fully concentrate on one assignment at a time—and our attempts to multi-task tend to compromise the quality, efficiency, and timeliness of our work. Furthermore, it can be challenging and time-consuming to mentally re-engage if you allow yourself to be temporarily derailed. Where confronting your daily workload is concerned, you can derive a useful lesson from the way a chef initiates the process of creating a meal. At the outset of each session, a culinary professional typically determines what ingredients will be required and in what quantity (in other words, her actions follow the format of a cooking recipe), and then measures them out. She then contemplates the procedure that lies ahead: does it involve whipping, or beating, or mixing? What utensils are required? Finally, she assembles and organizes all of the necessary components, so that she can command them at precisely the right moment. Officially, the term for this ritual is mise en place—which roughly translates from French as “everything in its place.” The principal advantage of deploying this approach for any project (not only gastronomic ones!) is that, once all the necessities are in their place, you can proceed with minimal hang-ups or delays. You won’t need to rifle through shelves or drawers searching for the items you need, nor will you spend nearly as much time thinking about the particulars of the project as you carry it out. As a consequence, you’ll be able to devote your energy and focus exclusively to the task at hand. Your own, individually tailored equivalent of the mise en place needn’t be time-consuming; set aside about ten minutes at the start of each day. In your mind’s eye, envision the errands you hope to accomplish over the next eight hours, think about the instruments and steps involved, then outline them (in writing) as specifically as possible. Assemble the tools and information you anticipate that you’ll need in advance, and arrange them in an orderly manner. Your goal should be to minimize friction, and ensure that you’re able to complete your work smoothly, without stoppages or interruption. If you prepare yourself in advance, using the mise en place approach, you’ll find that relatively laborious tasks will become simpler—and comparatively easy ones will become a cinch.